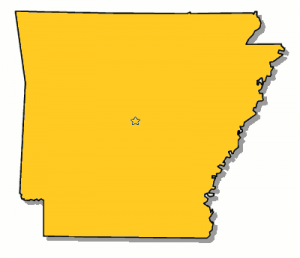 Are you searching for an Arkansas Commercial Truck Insurance Quote? Don’t get 1 quote. Get 3! To get the best price on your semi truck insurance you need to get multiple quotes. Let us help by bringing you three Arkansas Truck Insurance Agents that will compete for your business. Fill out one short online form and you’ll get three competitive quotes from three top agents in AR. Easy! We’ve done the hard work for you and located three of the best truck insurance agents in AR. The agents, like alpha-rams, will lock horns in their battle to write your policy, but only one will emerge the winner. With three agents quoting your policy you will have much broader access to the whole market of truck insurance companies. Arkansas and the FMCSA have specific insurance requirements for semis. Some coverages are mandatory, like primary liability. Others, such as physical damage truck insurance and bobtail coverage, are just smart to have. The insurance requirements for truck drivers who do insterstate work are a little more complicated. You must meet the above, and you must comply with all the semi truck insurance requirements recommended by the federal government. Typical federal liability limits are $750,000 or $1,000,000. 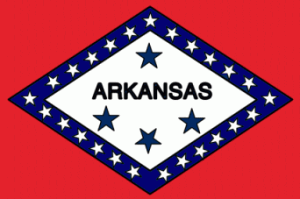 Regnat Populus is the state motto for Arkansas and means, “The People Rule”. You could also say that is our motto here too. We want the truckers to rule when it comes to being able to easily shop for a new policy. A beautiful place to work and live, Arkansas has it all, with some of the best fishing spots in the country. So use our easy service to compare polices next time you are fishing for a new policy. If you don’t need to compare now, just bookmark us and come back again later.